Sometimes a dentist fails to provide a standard level of care, which results in the patient being seriously injured or killed. Dental malpractice is a real issue that all patients must look out for. Dental patients can die during oral surgery due to the improper administration of anesthesia. Patients can sustain injuries or infections to their teeth, gums or jaw bone resulting from faulty root canals, crowns and bridge prostheses. They can also sustain serious injuries from unlicensed dentists who are operating their business illegally. People can sustain permanent or temporary injuries to the nerves of the lips, chin, tongue and jaw. Victims can experience temporary or permanent numbness or loss of taste sensation and, they can experience Temporomandibular Joint disorder, thus making it very difficult to speak or eat. For an individual to have a dental malpractice claim, they must be able to prove that the dentist either unintentionally failed to provide the acceptable standard of care that any other dentist would have performed, or they must have intentionally committed an act that no other reasonable oral health care provider would have committed if they were in the same situation with the correct dental malpractice information. 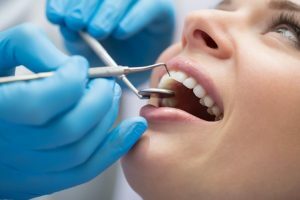 Dental malpractice suits can be brought against the practitioner only when they have failed to uphold the acceptable standard of care, or when they have provided treatment that exceeded your informed consent. It must be proven that the dental professional’s incompetence or negligence resulted in your injury.